Shoes from Prada. 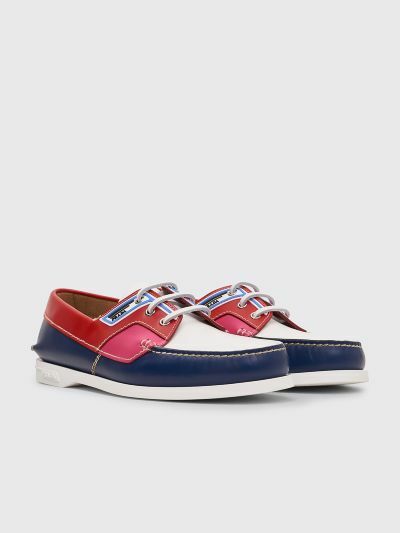 Calf leather upper with contrasting panel overlays and contrast top hand stitching. 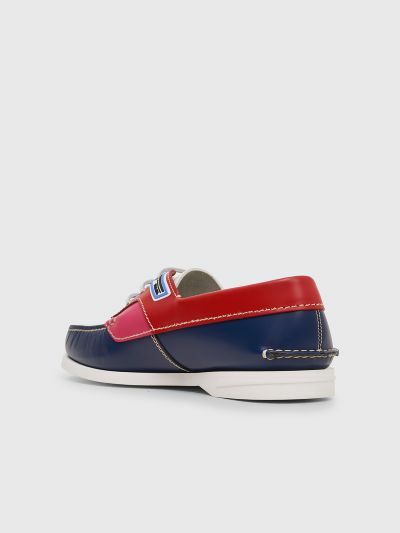 Rubber logo on the sides, flat leather laces through metal eyelets and stitch applique detail on the heel. 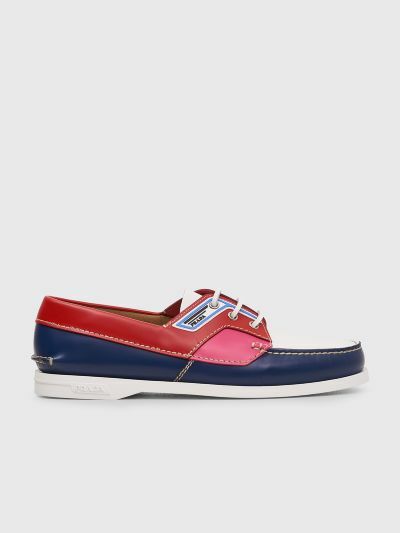 White, navy, pink and red shoes. Made in Italy. Leather upper. Leather lining. Leather insole. Rubber outsole. Size 10 equals EU 44 / US 11 / UK 10.